As debilitating as depression can be, it is a highly treatable disease. The vast majority of those who suffer from it can be effectively treated and return to a normal life, doing all of their regular activities free from the crippling effects of the disease. There are many ways to treat depression and the type that is chosen depends on the individual, the severity of the depression, and how well a person responds to the treatment. The most well-established ways to treat depression are medications, psychotherapy, electroconvulsive therapy (ECT) and transcranial magnetic stimulation (TMS). 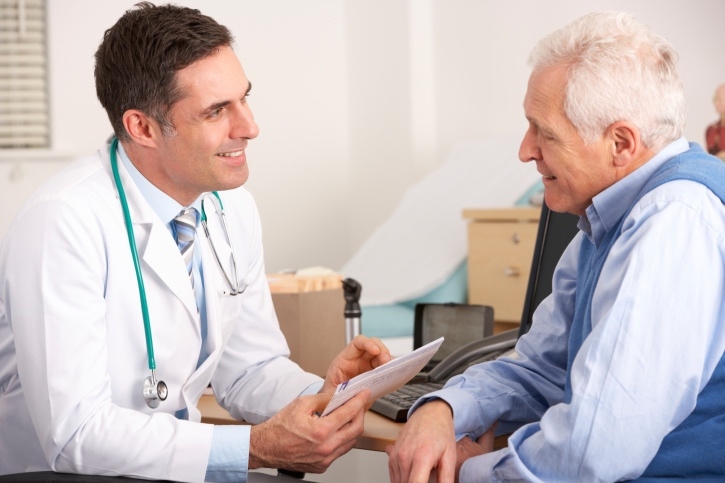 Recognizing depression as soon as it occurs and seeking help from your doctor is important. With prompt treatment, a depressed person can return to a happier life and a healthier outlook on life. Antidepressant medication works well for many, however it can take two to four weeks before the medication starts to work and six to 12 weeks before an individual sees the full effect of antidepressants. Medical research has demonstrated imbalances in neurotransmitters like serotonin, dopamine and norepinephrine that occur in depression. Antidepressants can address these. Some people experience side effects from the medication including headaches, nausea, difficulty sleeping and nervousness, agitation and restlessness and sexual difficulties. While most antidepressants are not addictive, you should not stop taking the medication without your doctor’s consent. If you do notice unpleasant side effects, share that with your doctor as well. He or she may change the dosage or switch to a different medication. Most antidepressants require that you not drink alcohol or take illicit drugs. Some other prescribed medications and herbal supplements can also react negatively with antidepressants so make sure your doctor is aware of all the medications and herbal preparations you currently take. 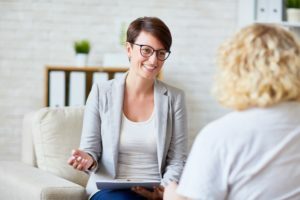 Psychotherapy – the “talking” therapy – is also an effective tool in treating depression and can include cognitive-behavioral therapy (CBT) and interpersonal therapy (IPT). These types of therapy help by teaching a depressed individual different ways of thinking and behaving and changing habits that may contribute to depression. Specifically, cognitive behavioral therapy helps to change the negative thinking and behavior associated with depression while also teaching people how to unlearn the specific behaviors that contribute to their depression. Oftentimes, changing one’s behavior can lead to an improvement in thoughts and mood. Interpersonal therapy focuses on improving individual relationships that may contribute to a person’s depression. In this therapy patients learn to evaluate the way they interact with others – peers and family members – and become more aware of their own isolation and difficulties in getting along with or understanding other people in their lives. Electroconvulsive Therapy (ECT) is a long-established safe and effective treatment for the debilitating symptoms of major depression, bipolar (depression and mania) and schizoaffective disorder among other diagnoses. For each treatment, the patient is given a sort acting anesthetic and a muscle relaxer. Once the patient is asleep, a brief electrical stimulus is used to induce a seizure, typically lasting 30-60 seconds. The seizure activity is very minimal due to the use of the muscle relaxer. It is the seizure activity that causes chemical changes in the brain which helps patients get better. With ECT, treatments are given three times each week for a total of six to 12 treatments. Improvements typically can be seen after four to six treatments-about one and a half to two weeks-much quicker than with antidepressant medications. Learn about ECT at Pine Rest. Transcranial Magnetic Stimulation (TMS) is a newer treatment typically used for patients who have moderate to severe depression but have not obtained relief or have experienced significant side effects with depression medications. 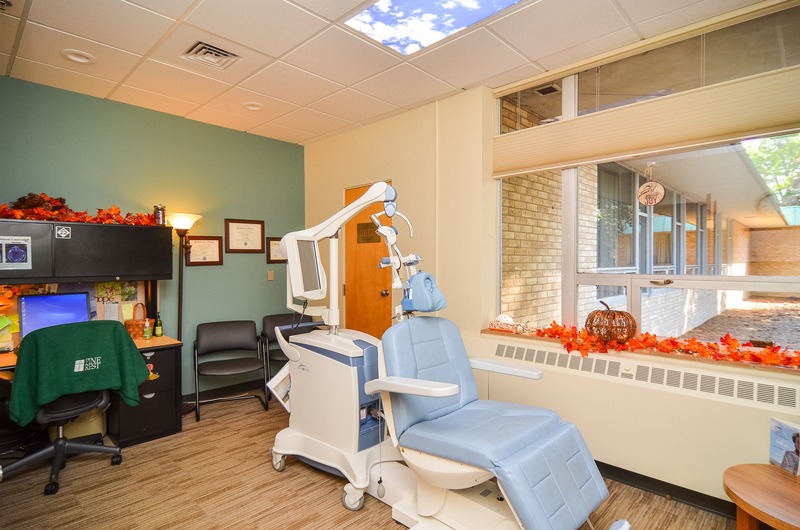 A non-invasive series of treatments, TMS delivers magnetic pulses at a specific area in the brain called the dorsolateral prefrontal cortex, an area involved in depression. The magnetic pulses stimulate nerve cells which can lead to improved depressive symptoms and mood. Individuals are awake throughout treatments, and no anesthesia is used. TMS was cleared by the Food and Drug Administration in 2008 as a treatment for depression. TMS treatments are given five days per week for four to six weeks. Though ECT is the most effective treatment for major depression, TMS provides an alternative option. Learn more about TMS at Pine Rest.